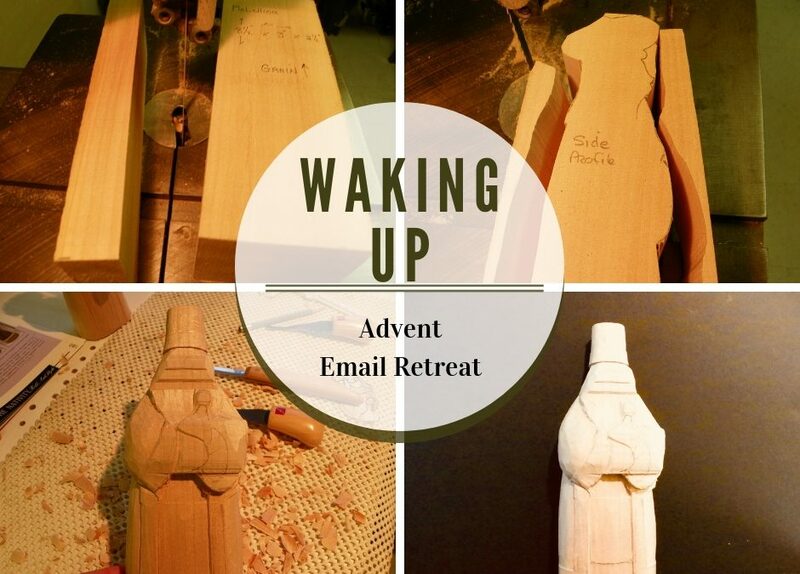 Hello all who signed up for the Advent Email Retreat series, Waking Up. Welcome! I trust you received your Welcome Email this morning. I invite you you to “Leave a Reply” below and share you name and where you are from. It helps us have a sense of our community, even though we read, reflect and try our spiritual practices in our own homes. And, if you wish, share your Waking up Christmas Morning story! Thanks, Janice. Need more information about the Waking Up Email Retreat Series? 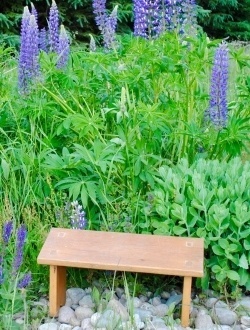 Learn more in the Prayer Bench Shop. Family all together and an non relative Auntie who visited each year from Windsor, Ontario and who filled our house with the smell of homemade bread, Estee Lauder and brought cases of Verners gingerale from Detroit as you couldn’t purchase it in Canada at that time. Everyone waited til we were all up and then Christmas celebrations began. First the stockings, then the gifts and Christmas dinner at my grandmother’s. Wonderful to bask in your advent retreat as a gentle preparation for christmas. In the dullness of grey skies you are a bright light. Christmas morning always felt calm and slow-moving when I was young. Now I realize how harried my mother must have felt, with Grandma and Grandpa and Aunt Thelma arriving in time for church Christmas Eve, adding to our family of six, all in a small three-bedroom home. Stockings were not part of our family tradition, so I am still in awe thinking of the year I insisted late on Christmas Eve that we should hang my dad’s wool stockings for Santa. And each one had something special in it Christmas morning! Gifts were opened one at a time around the family circle. I also want to comment how much I love your visuals for this retreat. The message unfolding from that block of wood has stayed with me since the first time I viewed it. Thanks you! Thank you. I love your story. And I, too, love the revealing in the carvings. Hello from Ottawa! An early morning here as grandchildren have hockey games and practices before the sun comes up. I am looking forward to some quiet time just for me with Advent on my mind. Leslie Anthony, Walker Settlement, N.B. After 50 plus years my sister and I are living within minutes of one another. It is so awesome to share our memories of family times, Christmas traditions, receipes. Christmas morning, my favourite morning of the year. Waking up earlier then my sisters going out into the living room with the moon shinning through the window making the tinsel on the Christmas tree shimmer. The start of the scent from the turkey slowing roasting in the oven, the quiet and Holy silence of wonder of the gift from God. This is Christmas morning from childhood that will remain with me always. Hello! Bob Johnson from St. Stephen, NB, Canada. Looking forward to our Advent journey.